The government of Pakistan Tehreek-e-Insaf (PTI) has given the approval to revive the Engineering Development Board (EDB) by reversing the decision of the previous government which had closed the prime engineering board of the country. However, the EDB officer verified the authenticity of the news but he said EDB has not received the official notice from the government yet. EDB, a wing of the industries ministry was shut down by the previous government in mid 2017 due to charges of corruption and malpractices. The shutdown decision was made in a meeting of the Cabinet Committee on Energy in 2017, which was chaired by former Prime Minister Nawaz Sharif. Ex-PM Nawaz Sharif gave approval for disbanding the EDB with immediate effect. During the energy committee meeting, he was informed that the EDB was not performing its duties and had failed to take appropriate steps to regulate and promote engineering enterprises. He was told that EDB is creating hurdles in the way of investment of billions of dollars. Sources said new entrants in the green field area had reported to the PML-N government against the EDB for creating hurdles. The EDB also created problems in the implementation of Auto Development Policy 2016-2021 but later on government’s intervention the Board started favoring new players in the industry. 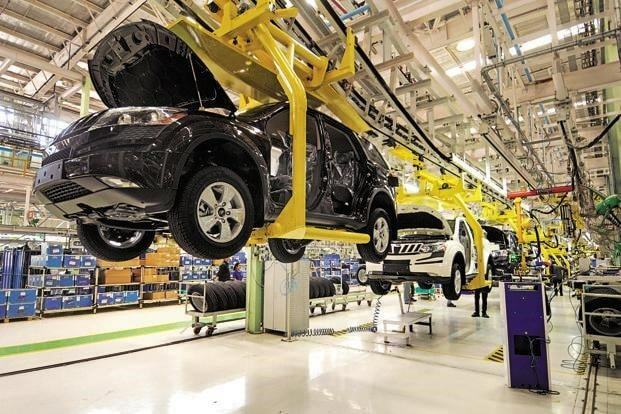 The Pakistan Automotive Manufacturers Association (PAMA) through a letter had requested the government to review the decision of shutting down the EDB or announce its successor to take over the existing day to day affairs. In the letter written to the former Prime Minister of Pakistan Shahid Khaqan Abbasi, PAMA stated that the cabinet’s decision to dissolve the EDB will create a vacuum as there is no mention of any successor to look after the ongoing affairs. The cabinet was requested to review the decision regarding the closure of EDB as that step would adversely impact the industrial sector with damaging long-term consequences and collateral damage to the nascent national innovation campaign. In a petition (Petition 1966 of 2018) filed by Pakistan Association of Automotive Parts and Manufacturers (PAAPAM), the court has been appealed to stop the implementation on the dissolution of EDB. Subsequently, the court has issued notices to the government through the secretary cabinet division to reverse the decision.. A similar petition was also filed in the court by employees of EDB seeking reversal of the cabinet decision. It’s worth mentioning that the Engineering Development Board (EDB) is the only state-run organization on which the private sector has shown complete confidence. Pakistan Association of Automotive Parts and Accessories Manufacturers (PAAPAM) and Pakistan Automotive Manufacturers Association (PAMA) have played a key role in the revival of EDB. They have proved their long affection in making every possible effort to revert the government’s decision of closing down the EDB. The EDB was established in 1995 and continued to work as an apex government body until the PML-N government decided to dissolve it and gave one year to complete the dissolution process.